Interested in Williamsburg golf packages, REQUEST A QUOTE and create your own custom Williamsburg Golf Vacation. Williamsburg, Virginia, located less than a day’s drive from most of the Northeastern United States is one of the world’s top 25 golf destinations. 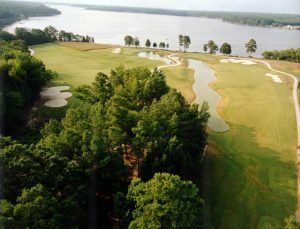 The Williamsburg golf destination offers an incredible variety of championship caliber golf courses and features a mix of rolling terrain and flatlands along low lying creeks and inlets of the James River that provide golfers a very unique golf experience. A Williamsburg Golf Trip features 15 Championship golf courses, many rated 4 stars or higher by Golf Digest. 22 PGA tour events, 7 LPGA events, 5 USGA Championships and the 2007 NCAA men’s Championship have all been played in Williamsburg. Virginia Golf Vacations works with the most popular rated Williamsburg hotels and some of the area’s best condo and villa style suites. All are located in close proximity to the courses and popular Williamsburg attractions inlcuding Busch Gardens, Colonial Williamsburg and the Williamsburg Winery. Plus Williamsburg dining options include regionally and nationally recognized restaurants. “Save Your Long Drive for the Fairway” and make your next golf trip a Williamsburg Golf Vacation! A Virginia Beach Golf Vacation features a variety of courses designed by many of today’s top course designers including Pete Dye, Jack Nicklaus, Arnold Palmer, Rees Jones and Fred Couples. Located just 2 hours east of Richmond Virginia on interstate 64 or a short trip down US 13 along the eastern shore Virginia Beach has plenty to offer Golf travelers. After playing your way through a mix of tidal wetlands, dense forests and windswept flat lands enjoy oceanfront dining and nightlife. The famous “Virginia Beach Strip” has an endless number of restaurant options from fine dining to flip flop and tank top establishments. End your day at a wide variety of nearby oceanfront accommodations with great views of the Atlantic Ocean and easy access to the Boardwalk. 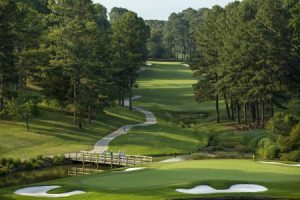 Virginia Beach Golf Packages Interested in Virginia Beach Golf Packages create, price and compare your own custom Virginia Beach Golf Vacation. Virginia Golf Vacations offers several promotions, including unlimited golf in April and October at several of the Virginia Beach areas most popular courses, plus group of 8 or more and the group leader is free! We make it easy just submit a quote and within 24 hours receive one price for golf and rooms. We book the hotels, tee times and even collect payment from your golfers. Doesn’t get any easier than that! 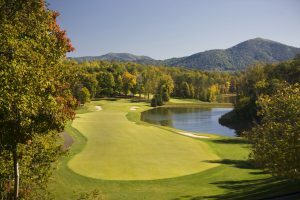 A Blue Ridge Golf Vacation package features golf courses located in the western part of Virginia where nature has provided some of the top golf course designers a perfect canvas to create several of the mid Atlantic’s best golf courses. There are several popular golf destinations in the western part of Virginia. Charlottesville area truly boasts some of Virginia’s top courses. Front Royal and the Winchester area in Northwestern Virginia have quality courses scattered throughout the Shenandoah Valley. Charlottesville is Virginia’s newest golf destination. Known for the historic home of Thomas Jefferson, Monticello and the University of Virginia Charlottesville also boasts some of the Commonwealth’s best golf. Charlottesville golf features several premium layouts worth serious consideration from the most well traveled golfers.Golf In Charlottesville includes the award winning Ed Carton design at Spring Creek Golf Club recently ranked in the nations “Top 100 Courses you can play.” Birdwood Golf Club affiliated with the Boars Head Inn and University of Virginia is a fantastic layout and Old Trail Golf Club offers some of the most scenic mountain views in the area. Wintergreen Resort’s Stoney Creek Golf Club and Devils Knob are just a few minutes west of Charlottesville and well worth the drive. Virginia Golf Vacations travelers also have exclusive limited access to the new Pete Dye designed Full Cry Golf Club at Keswick Hall. More than enough great golf courses to fill your next golf trip.